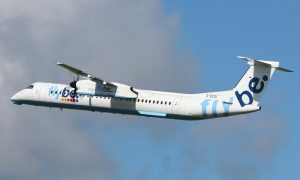 Flybe, Europe’s largest regional airline based in the UK, is for the first time today introducing an ATR 72-600 series aircraft into its fleet. 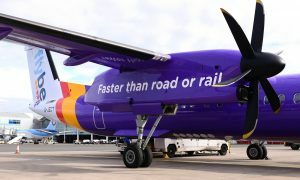 The aircraft has been delivered to Flybe from the leasing firm Avation PLC, and will operate from Sweden in the livery of Flybe’s new partner in Northern Europe, Scandinavian Airlines (SAS). During 2015 and 2016 Flybe will incorporate into the SAS network five new 70-seat ATR 72-600s leased from Avation. The aircraft will be based at Stockholm’s Arlanda airport from where they will serve selected SAS domestic and regional destinations. The operation of these aircraft is a result of the recently announced six-year white label partnership recently established between Flybe and SAS, Scandinavia’s largest carrier. “We are satisfied with the financial outcome of owning over 20 ATRs we have flying today in the liveries of several airlines in a variety of countries and environments. 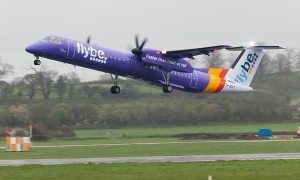 We are pleased to be associated with two major European aviation operators like Flybe and SAS, and we are confident that the introduction of these new ATR 72 -600s may generate opportunities to place additional new ATRs in Europe as airlines start replacing their earlier generation aircraft”. As of today, in Europe alone some 270 ATR aircraft are operating in the liveries of some 25 operators.